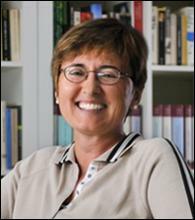 Prof. Raffaella Zanuttini and her co-authors Paul Portner (Georgetown) and Miok Pak (GWU) have a paper in the most recent issue of Language, “The Speaker-Addressee relation at the syntax-semantics interface”. In this paper they discuss various means of expressing information on the relation between speaker and addressee that are part of the syntactic representation of a sentence, like speech-style particles, politeness pronouns, allocutive marking, and honorifics. They note that these markers of politeness fall into two distributional classes: some can occur in complement clauses, while others are restricted to matrix contexts. They develop a dynamic pragmatics model of the type of meaning that these markers encode and provide a syntactic analysis that accounts for their distributional differences.